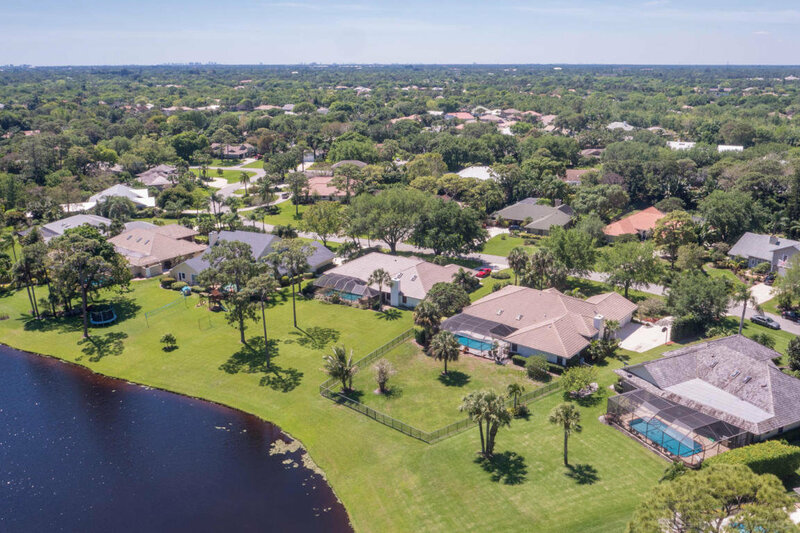 Whispering Trails is a beautiful, pristine, tree-lined community that sits west of the Loxahatchee River Road in Jupiter and features large lots and lake views. The community consists of 185 single family homes that range in size from 2,000 to 4,600 square feet and three to six bedrooms. The serene community is perfectly located with quick access to the Florida Turnpike and I-95, and less than 6 miles from the gorgeous Atlantic Ocean and Jupiter beaches. Abundant choices of shopping, dining, sports, and entertainment are just minutes away. For the golf enthusiasts, there are several nearby daily or annual fee courses that provide challenging rounds. A commute to the Palm Beach International Airport is just a short drive, as are many family entertainment attractions. Zoned for A-rated schools.